The Purebeau original Tattoo Remover is based on organic acid based on Food suppliments, which do not cause side effects. It is applied by working it inside the area where the removal is taking place with a permanent make up needle or cartridge size 3 or 3 outline. 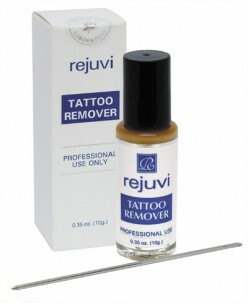 In between we clean the area which can react with wound liquid o..
Rejuvi tattoo removal system is a unique method of tattoo ink extraction to completely remove your tattoo ink pigments from your body. The procedure was extensively researched, developed and tested for over ten years and is already being used in the world for more than seven years. The procedure used the same methods as..
Tattoo Soothe anesthetic cream (15g.) 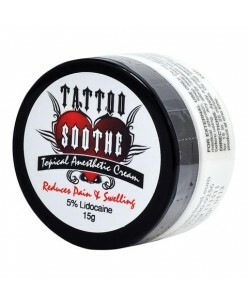 Tattoo Soothe Topical cream is used to help relieve pain, swelling and bleeding from procedures that repeatedly penetrate the skin. It has a swift, rapid-acting formula of 5% lidocaine, tetracaine and epinephrine. So if you need a product you can count on to keep your client in a more c..
Tattoo Soothe anesthetic spray (30ml./60ml.) Tattoo Soothe Topical Gel is used to help relieve pain, swelling and bleeding from procedures that repeatedly penetrate the skin. It has a swift, rapid-acting formula of 5% lidocaine, tetracaine and epinephrine. So if you need a product you can count on to keep your client in a mor..
Tattoo Soothe Topical Anesthetic Gel (30ml.) 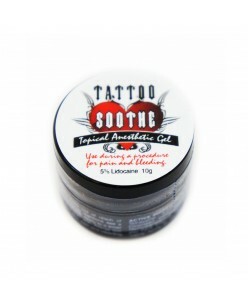 Tattoo Soothe Topical Gel is used to help relieve pain, swelling and bleeding from procedures that repeatedly penetrate the skin. It has a swift, rapid-acting formula of 5% lidocaine, tetracaine and epinephrine. 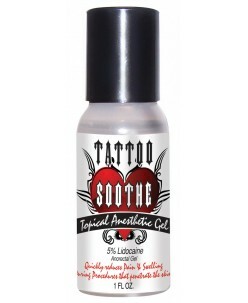 So if you need a product you can count on to keep your client in a mor..
Tattoo Soothe Topical Anesthetic Gel (10ml.) Tattoo Soothe Topical Gel is used to help relieve pain, swelling and bleeding from procedures that repeatedly penetrate the skin. It has a swift, rapid-acting formula of 5% lidocaine, tetracaine and epinephrine. So if you need a product you can count on to keep your client in a mor..